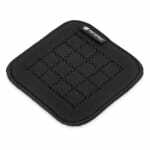 The San Jamar UHP55BK UltiGrips® hot pad is made of neoprene, a flexible material that conforms to pot and pan handles. 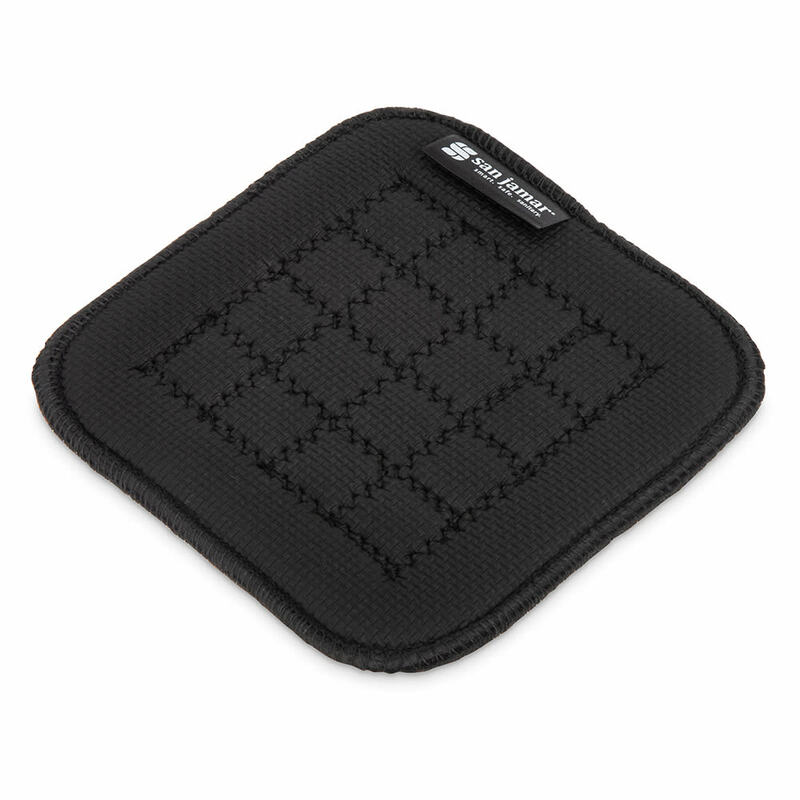 This provides protection against heat as high as 500 degrees Fahrenheit for 15 seconds. 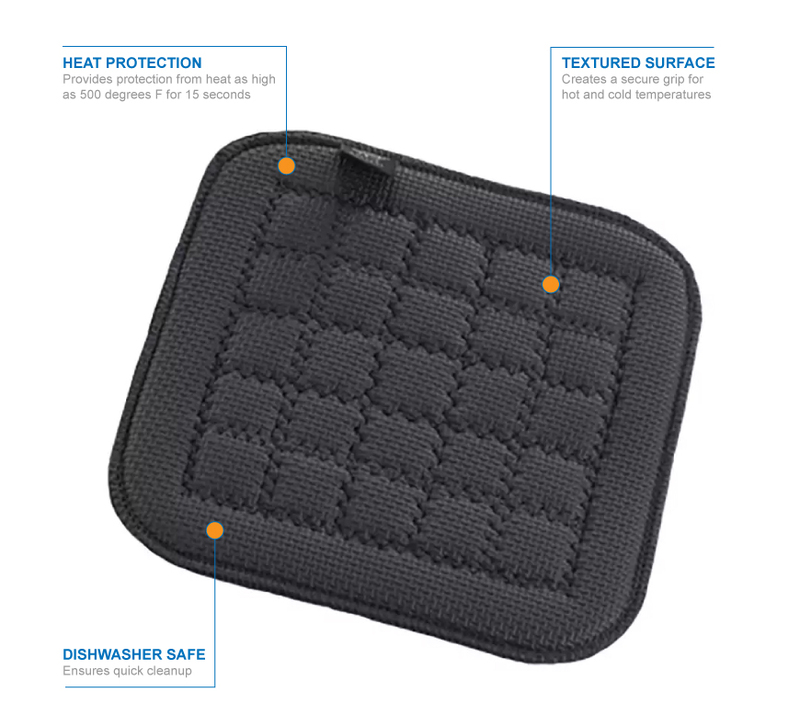 Its textured surface creates a secure grip in hot or cold applications, and the hot pad is dishwasher safe. Protection against temperatures as high as 500 degrees F for 15 sec.